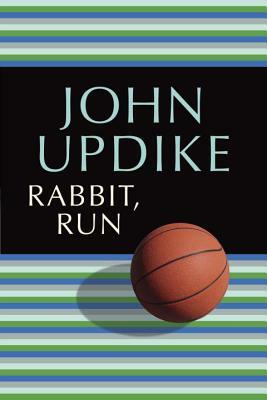 Rabbit, Run is the book that established John Updike as one of the major American novelists of his—or any other—generation. Its hero is Harry “Rabbit” Angstrom, a onetime high-school basketball star who on an impulse deserts his wife and son. He is twenty-six years old, a man-child caught in a struggle between instinct and thought, self and society, sexual gratification and family duty—even, in a sense, human hard-heartedness and divine Grace. Though his flight from home traces a zigzag of evasion, he holds to the faith that he is on the right path, an invisible line toward his own salvation as straight as a ruler’s edge. John Updike was born in Shillington, Pennsylvania, in 1932. He graduated from Harvard College in 1954 and spent a year in Oxford, England, at the Ruskin School of Drawing and Fine Art. From 1955 to 1957 he was a member of the staff of The New Yorker. His novels have won the Pulitzer Prize, the National Book Award, the National Book Critics Circle Award, the Rosenthal Foundation Award, and the William Dean Howells Medal. In 2007 he received the Gold Medal for Fiction from the American Academy of Arts and Letters. John Updike died in January 2009.